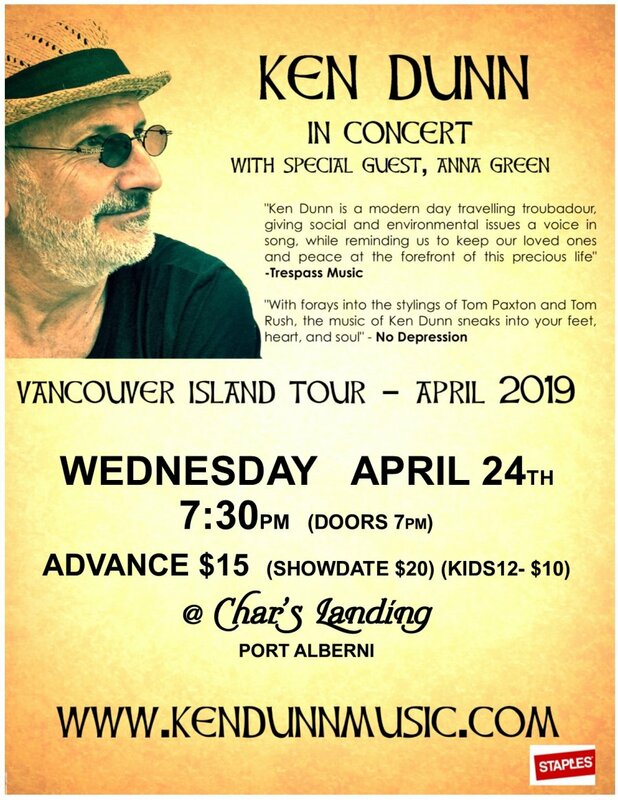 "Highly evocative and intriguing" (fRoots, UK), the music of Ken Dunn "sneaks into your feet, heart, and soul" (No Depression, USA) offering "refreshing insight into human complexities" (Festival of Friends, Canada). Combining an adept finger style acoustic guitar technique with "strong, distinctive vocals” (R2, Dublin), Ken's "brilliant songwriting" (Hemifran, Sweden) delivers a strong, positive message directly to the soul of the listener. Ken has released 8 albums of original music, which have received a number of awards, radio airplay and charting in Canada, the US and Europe. His most recent album, "Live in L.A." was released to radio worldwide by Trespass Music on February 1, 2019. In support of the album, Ken will be touring BC, Quebec, Ontario, and Florida in the spring of 2019.